KRISHNA JAYANTHI CELEBRATION – Celebration started with Pooja and Geetha chanting. The day was delightful with colorful events, Music, Bhajans & Dance. 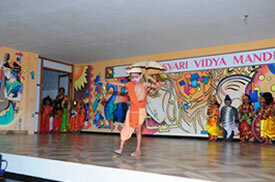 Kinder garten children presented themselves as 10 avatars of Krishna with enchanting flavours. 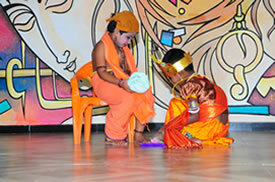 Knowledge about Krishna’s birth, life, Morals delivered were presented as talk show & debate. Children participated and made the event glorious.